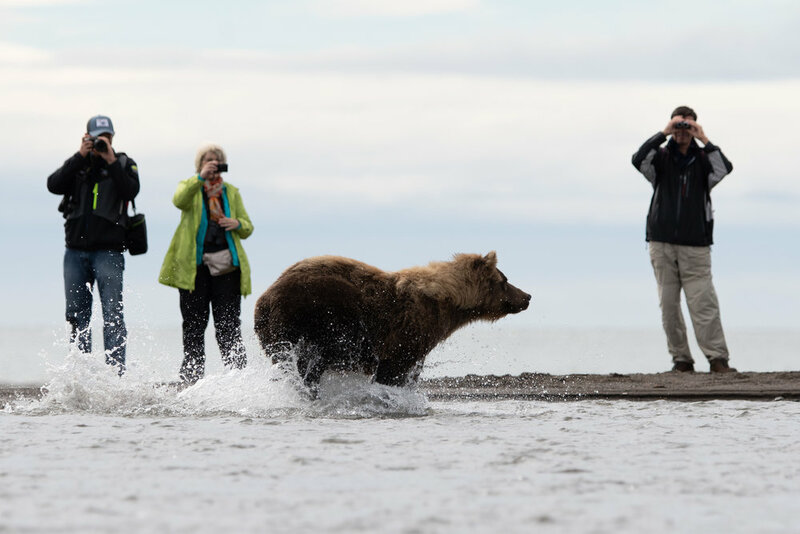 Photo Tour Fee: $6200 which will include everything from the time we leave Anchorage to the time we get back - all lodging, food, flights from Anchorage to the bear lodge and back again, park fees and permits, and any boat trips during our stay. The fee even includes $150 in tips for the lodge staff so that you don’t have to tip. Inquire if single occupancy may be available for roughly $1000 if desired. Deposit: $1000 (to be deducted from the total. The balance of $5200 will be due three months prior to the trip (May 8). 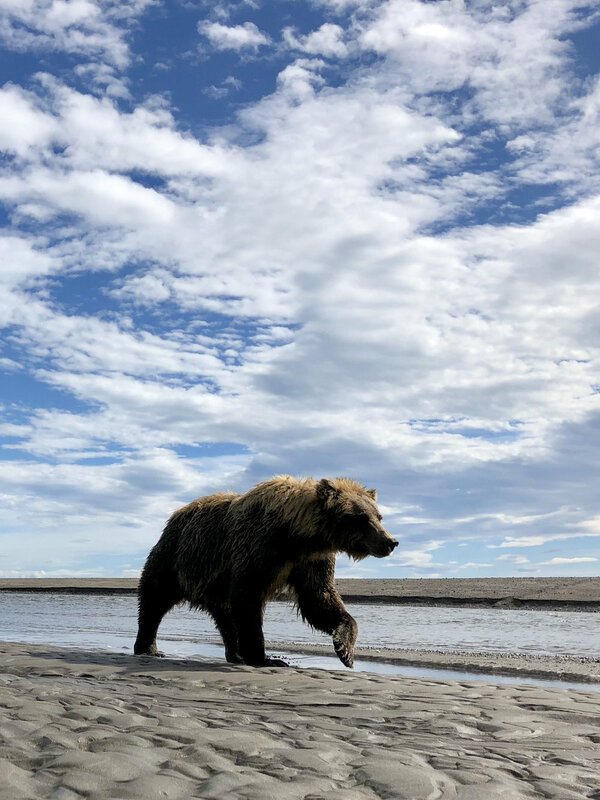 Join our small group on the shores of Cook Inlet, in the shadow of the smoking Iliamna Volcano, where brown bears charge through the water hunting salmon, roam the shores in search of crustaceans, and roll in the meadow with their cubs. Equipment: Bring your favorite digital SLR and a backup SLR if you have one. On this photo tour, we will want a wide variety of lenses. 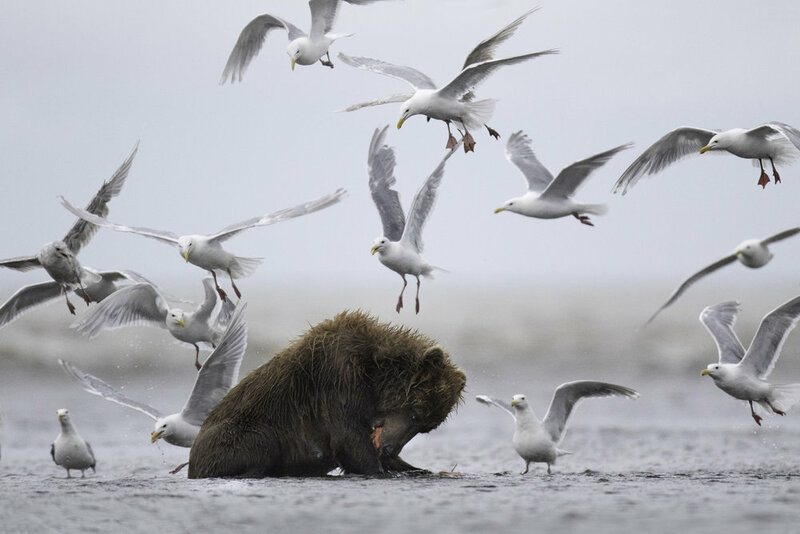 A long lens will be useful for detailed portraits of bears and sea birds. 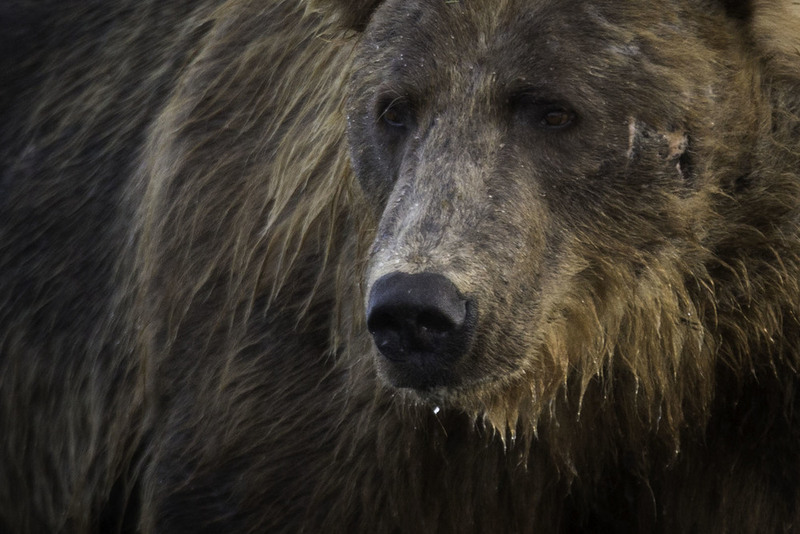 Bears may get well within 70-200, range at times, especially if you want to include some of the awesome scenery in the background. We also will have opportunities for landscapes so bring a wide angle as well. Bring a tripod, and binoculars if desired. Boots: Waterproof Hiking Boots. The lodge may have knee high boots available for you. Jacket: You will want a coat. Be prepared for temperatures in the lower 40's with a moderate wind at times. Hat and Gloves: A warm hood could be the perfect answer for a cooler than average morning. Gloves are optional but a very good idea if you have extra room in your luggage. Long underwear is not a bad idea either. Cell Phones and Internet: Internet will be very slow at the lodge. Most major cell phone networks pick up intermittent reception but nothing dependable. We will meet in Anchorage on the first day. 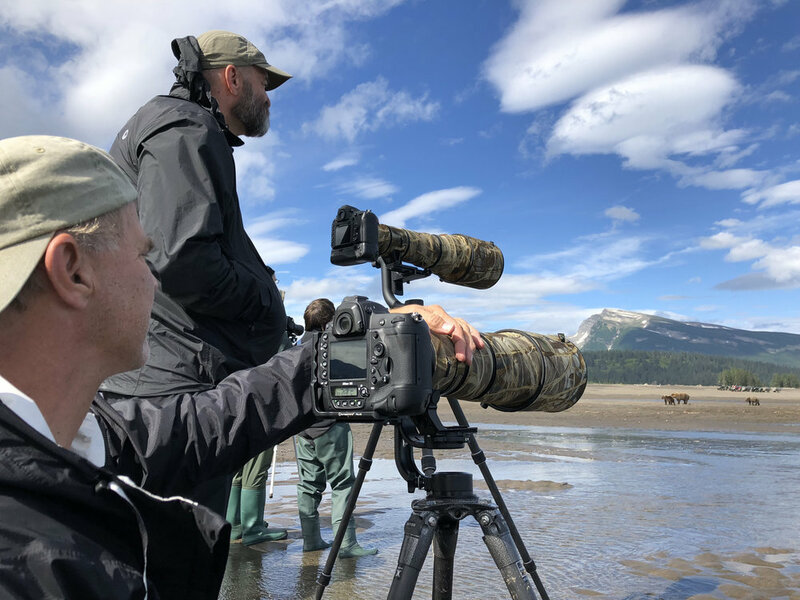 After flying to the lodge as a group, we will begin photography right away. The first two nights will be at a comfortable but primitive tent camp, the rest of the trip will be at comfortable cabins with delicious meals prepared by the cooking staff. Transportation: Plane ride from Anchorage and in-the-field transportation are included in the tour fees. 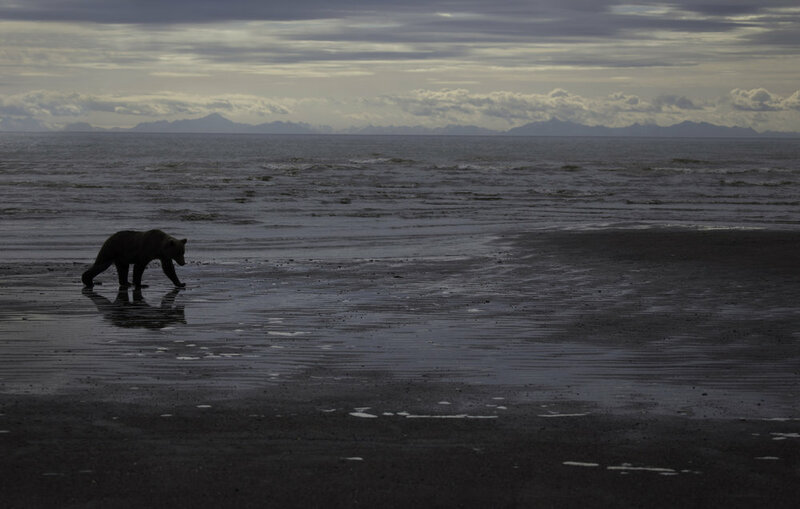 We will fly to the lodge, boat to tent camp and to a puffin island, and be pulled by an ATV in carts to get closer to the bears near the lodge. We will stay four nights in well appointed modern cabins in the middle of Lake Clark National Park, then two nights in semi-permanent, reasonably comfortable large tents. I hate camping and normally refuse to camp in conjunction with photography, but this camp I found to be pleasant. Meals: Meals are included in the tour fees. We will have three tasty meals per day prepared and served by the lodge staff. Early Arrivals: Since I have pre-booked the plane from Anchorage, I'll presume that you will arrive and depart with the rest of the group unless you tell me otherwise. A light amount of walking will be required, as well as standing in the field for a couple hours at a time. 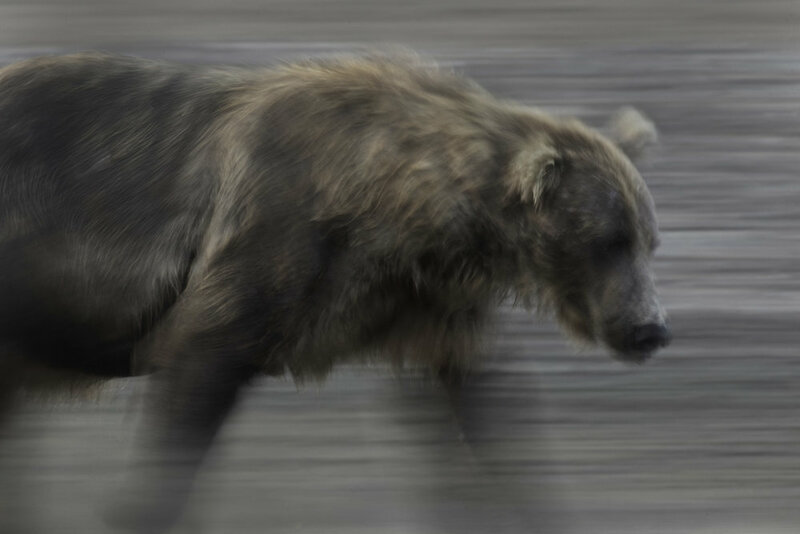 We want to photograph brown bears in a variety of settings, with cubs, fishing, digging for clams, rushing through the water, small against a majestic background, etc. We will also have a few limited opportunities at landscapes and bird photography as well.